Paraffin lamp oil. The lowest UK price. Guaranteed! Our high grade, European refined Cater Bright lamp oil is designed for indoor use. 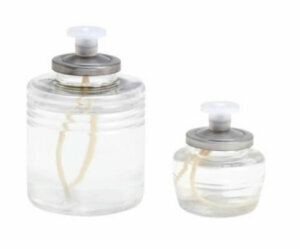 This is a high-grade paraffin lamp oil, and with the oil lamp wick set correctly, it will burn odour free and without smoke. Perfect for indoor oil lamps. The London Candle Company supply a wide range of beautiful glass oil lamps. This product is equally good for outdoor use in our bamboo torches, also known as tiki torches. Lowest UK, cheap prices from London Candles. Free UK delivery for orders over £50 plus vat. Buy in bulk and save. Bulk buy and group purchase discounts available. Please email us info@londoncandles.uk for your best prices. With over 50 years combined experience of working in the candle industry, The London Candle Company are the UK’s leading candle specialist. Bulk candle and lamp oil specialists at the lowest UK prices.